* Mariell's wholesale Art Deco bridal or bridesmaid wedding earrings features brilliant CZ's. * These tailored dangle earrings are plated in rhodium. 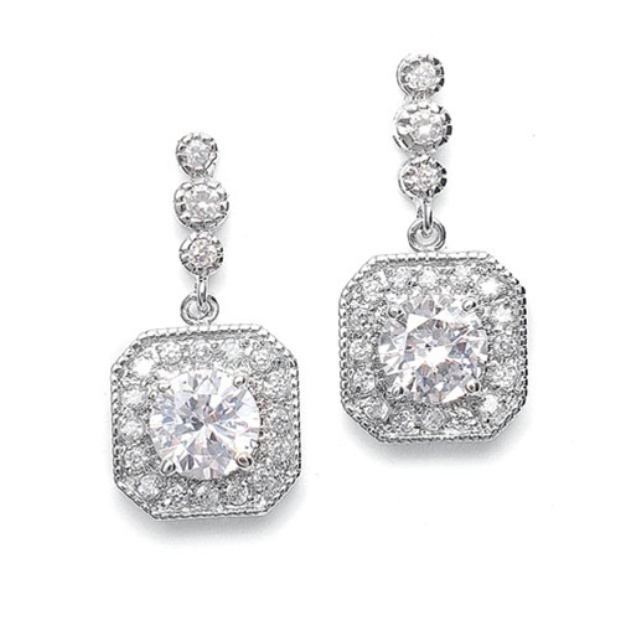 * Mariell's bridal or bridesmaid wedding earrings features brilliant CZ's with Art Deco frames and dainty bezels. * These unique dangle earrings are 1 1/4" h and are plated in silver rhodium. * These earrings are also a great look for mother of the bride.